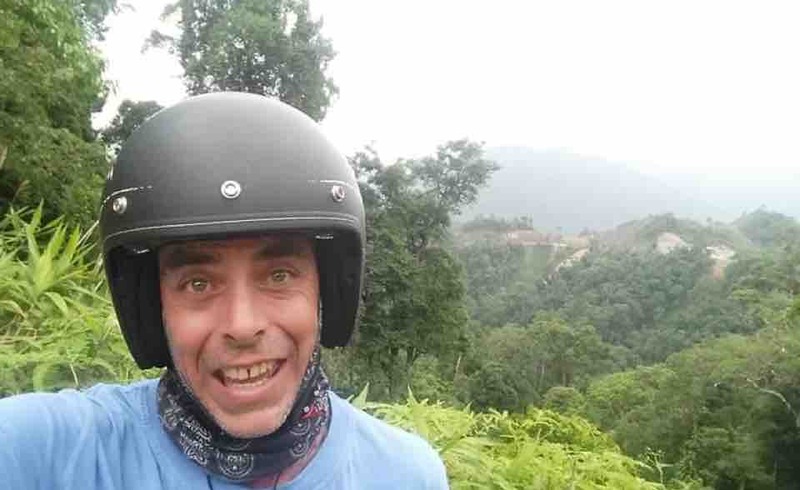 My brother Luke Rampal has had a serious motorbike accident in Vietnam. 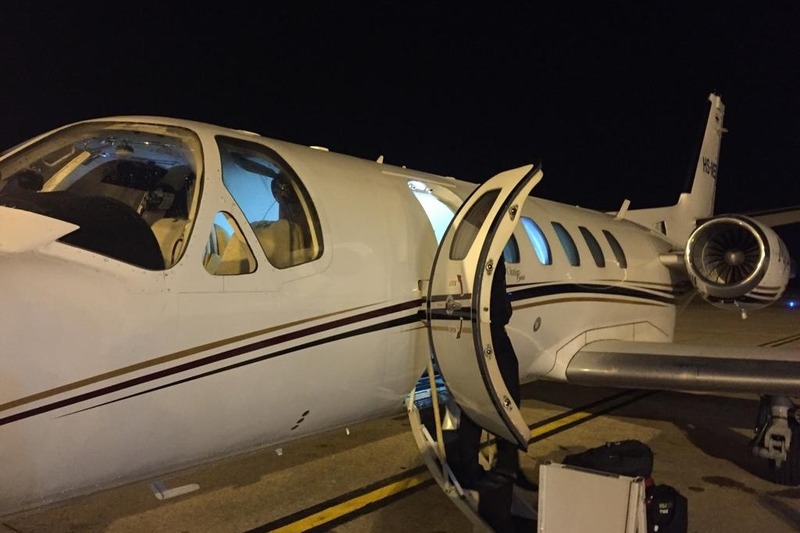 Luke has been medivac’d from Da Nang, Vietnam to Bangkok, Thailand. Luke has a broken nose and clavicle but more seriously, he has broken the C4 in his neck. 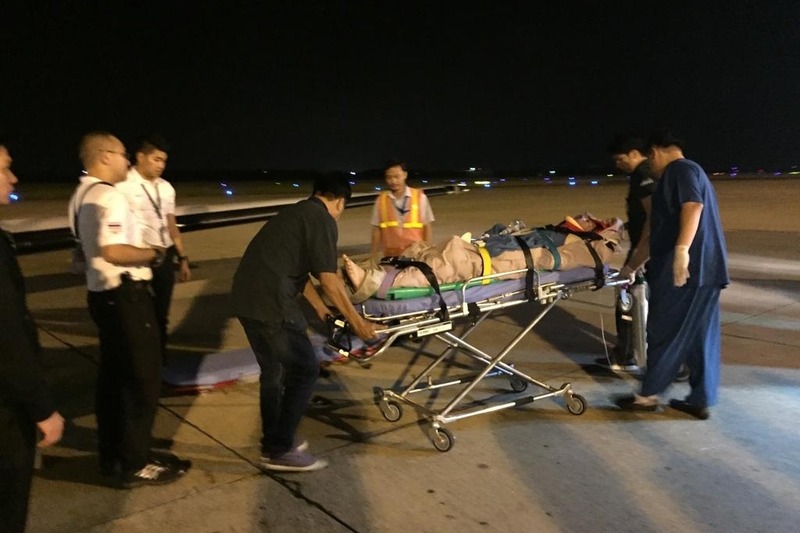 Luke will be undergoing surgery at Bumrungrad International Hospital Bangkok, to relieve pressure between C3 and C4 as soon as he is stable after the medivac. 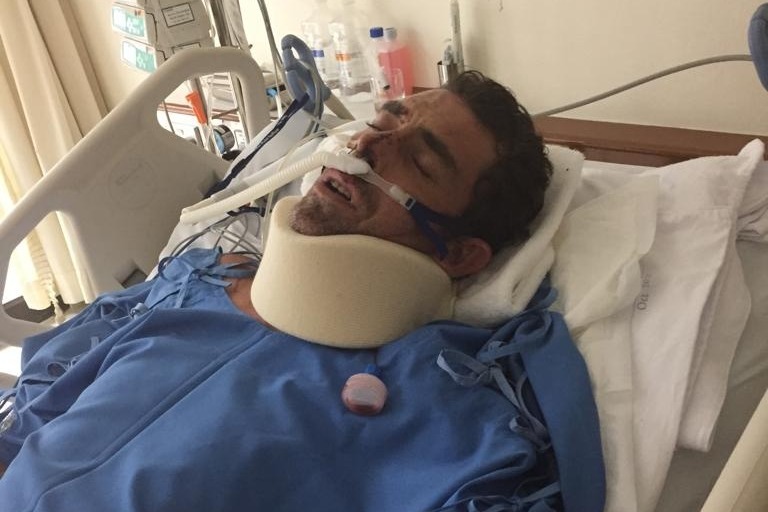 We all love Luke very much and we want to be able to help get him the immediate care and support he needs now and to help him with his recovery in the future. The costs involved in getting Luke’s medivac from Vietnam , his hospital fees in Vietnam and Bangkok, surgery, cat scans, MRI’s and all the current and future requirements (both in Bangkok and if we can get him back to Australia) are very, very high. Please donate if you are able, or make a comment of love and healing or share this campaign. We appreciate all the love and support in whatever way it comes. Luke successfully had surgery to repair his broken clavicle this afternoon. He is resting and recovering. We have now been in Brisbane, Australia for 8 days. Words cannot express how grateful we are. Thank you everyone. Bring Luke Home . We are still working towards getting Luke back to Cairns and providing him with whatever support he needs in the future. Luke's first surgery successfully relieved pressure on his spinal chord. It's been a full on journey so far. 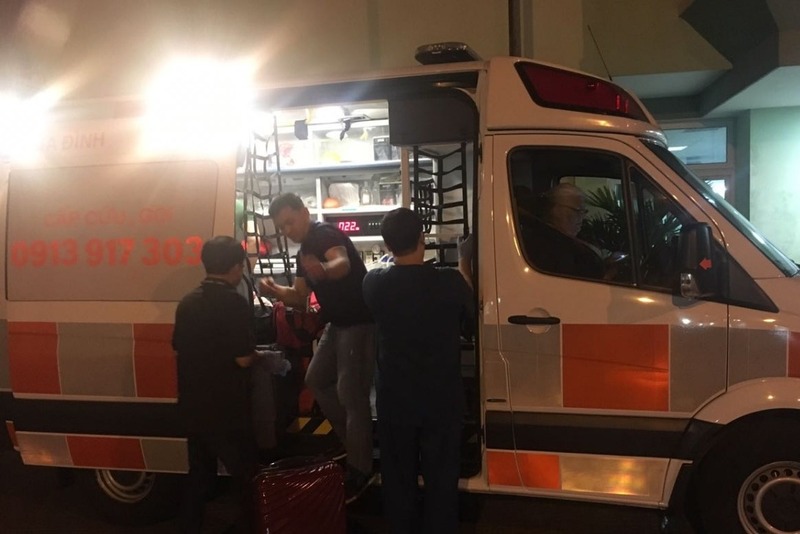 Since the accident on Monday, Luke has been in Hoi An Hospital, Danang General Hospital, transferred by ambulance to the medivac aircraft in Danang, flown to Bangkok with a medical support team, transferred to Bumrungrad International Hospital in Bangkok, and had his first surgery. But it's not even close to being over yet. 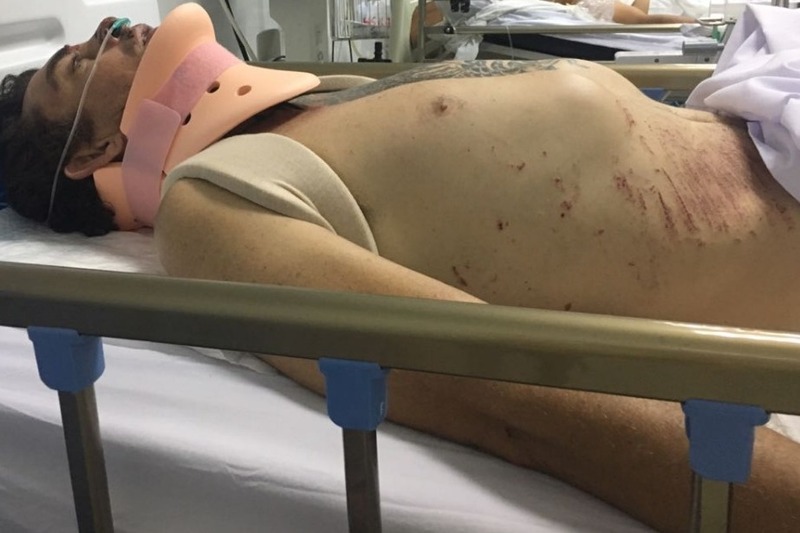 Luke still needs to spend time stabilising in Bangkok before the next step, and that's getting back to Australia to a specialist spinal unit to continue his recovery. All donations, love and support so far are greatly appreciated, but we still have a long way to go. So far the costs are over US$56000 , the bills keep coming and it's only day 4. Please share with all your networks and donate if you can. WE LOVE LUKEY. TEAM LUKE UNITE !!! Thank you from the Rampals and the Maconachies. Luke’s initial surgery in Bumrungrad International Hospital Bangkok to relieve pressure on his spinal chord has been a success!!!!! The next step we are working towards is to get him back to a specialist spinal unit in Australia. Luke is as well as can be expected at this stage. 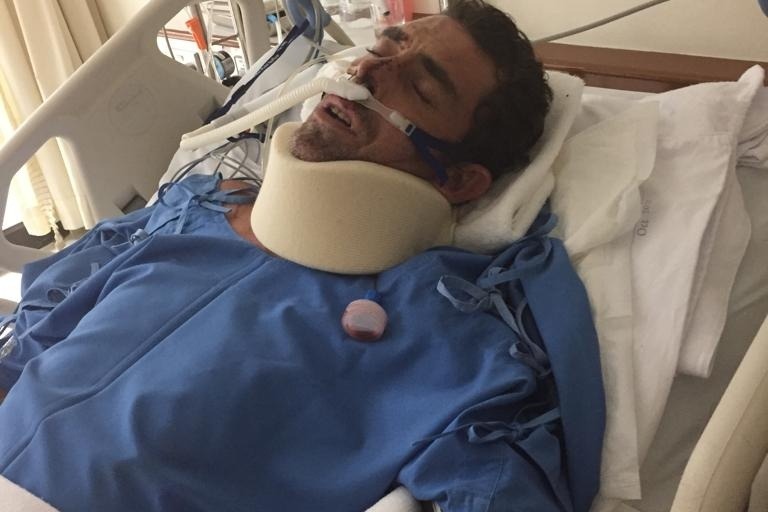 Luke still needs everyone’s love and support. We are working at keeping him positive and taking each step as it comes. Thank you to EVERYONE that has donated, shared the campaign and sent messages of love and support already. We are feeling it from all around the world. Help is still needed and we are grateful for love, support and donations in whatever form they come in. TEAM LUKE UNITE!!! !